Axiom's handlebar bags are a cargo solution for cyclists who like to keep everything conveniently stored at their fingertips. 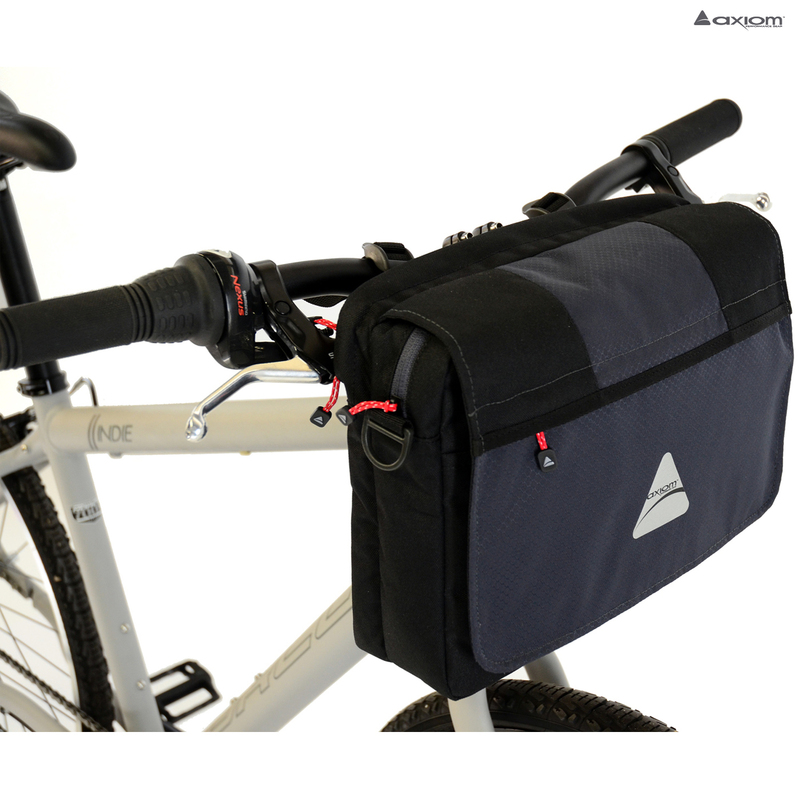 These bags feature rigid panel construction and internal organizers, with quick and easy hardware that mounts effortlessly to just about any handlebar. Axiom's premium handlebar bags are designed with an integrated touch phone / tablet sleeve that enables riders to map out the day's journey. - Spacious main compartment with organizer for pens, phone, wallet, etc.